In your experience, are any spirits categories particularly popular for premium variants and why do you think that is? I would say gin has become particularly popular for premium variants because of the amount of focus there’s been in making different flavoured ones. A quality gin offer has been a massive area of focus for many bars. What can be done in outlets to help increase sales of premium gins? To help increase the sales of premium gins, improve your product knowledge of your gantry’s gin range; know the tasting notes, the perfect serve and which kind of tonic or other mixer best suits the spirits on offer. How strong are sales of premium vodka in your venue? What are consumers looking for when purchasing vodka-based drinks and how can bars cater to that? Quite high but what consumers are usually looking for is interesting vodka cocktails. Bars can cater to this by using premium vodkas and infusing them with spices, berries or other ingredients – and should use them in a cocktail to show off the different flavours. 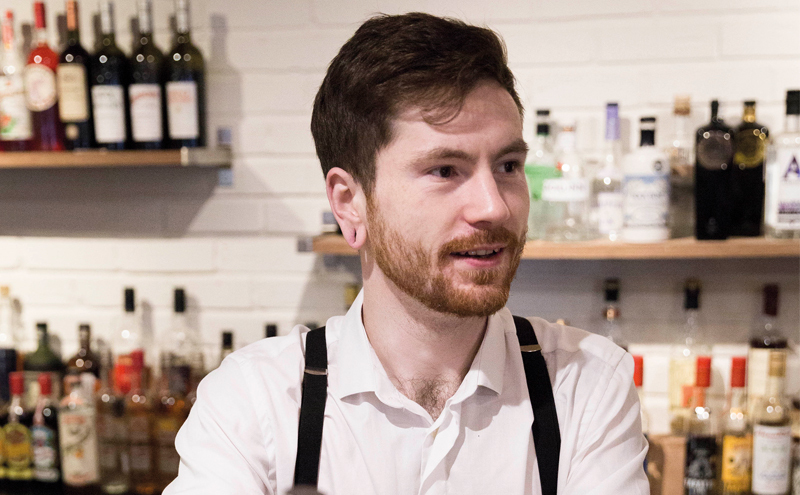 How important is it that bar staff are consistently improving their knowledge of spirits? Would you recommend that bar staff read up on spirits and visit distilleries for instance? 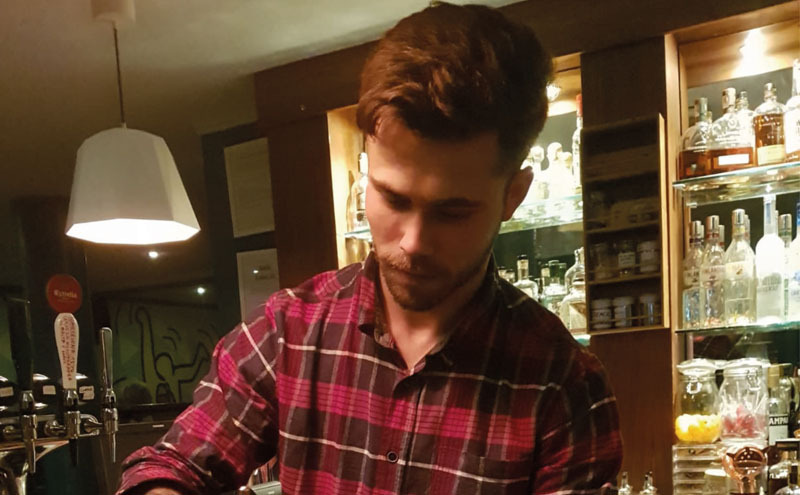 Improving your product knowledge as a bartender is probably one of the most important things you can do as it’s one of your best tools when selling drinks. I would recommend bar staff read up and taste any new or old spirit you have on your gantry because getting to taste it allows you to know the tasting notes but also allows you to say, “Oh, I’ve tried this one and this is what I thought of it”. What is your favourite premium spirit to work with? Woodford Reserve Double Oaked bourbon because of the sweet smokiness you receive on the nose from it and its light taste of chocolate, cinnamon and vanilla on the palate. By using these delicious flavours you can create a beautiful Old Fashioned by enhancing them with different bitter combinations. It would have to be Diplomatico Reserva Exclusiva rum. I am a massive lover of rum and feel this one with its notes of maple syrup, fudge, toffee and orange peel can be enjoyed with or without a mixer. I’m of the opinion that premium variants across most, if not all, spirits categories are growing hugely in popularity. I put this down to a more discerning clientele across many levels of the on-trade. If I were to pick one, I’d say mezcal; guests are willing to pay premium prices for even entry-level mezcals and are much more open to premium tequila than ever before. Gin, as a category, is now extremely saturated; awash with both brilliance and banality. Understanding which gins to choose to stock in order to cater to the venue’s particular clientele is really key. Having staff with decent knowledge is also super important; if they understand the nuances of the gins on offer, the upsell is easy. In Scotland there is a huge array of exceptional whisky on bars’ doorsteps but how can pricier expressions be integrated successfully onto the back-bar? The break-even bottle is a great way to demonstrate niche whiskies, and while it may not make any money, it’s a great way to enrich the experience of the guest. Frankly, not amazing. However, if I’m asked for a vodka-based drink, I consider it carte blanche. Vodka-based cocktails are a great way to show off niche ingredients and letting liqueurs, vermouths and aperitifs call the shots. While there are undoubtedly fantastic vodkas out there, they often show off their character best when taken neat or on the rocks. It’s imperative. The greatest tool we can use to serve our guests is a good depth of knowledge allowing us to be able to take very little information from an interaction with a guest and delivering a drink which fits the situation perfectly. Reading up is great but I’ve personally found that seeing the production in action has been invaluable to my progress. Also, what is a better team-building exercise than a trip to one of Scotland’s many distilleries? I don’t like to pick favourites! I often look at the spirit last when I’m formulating drinks; I’ll start with a combination of flavours that I want to work with and then decide which spirit would work best as a stable base for that. Whisky (with or without the e). I’m a simple drinker; I just really enjoy a cold beer and a dram.